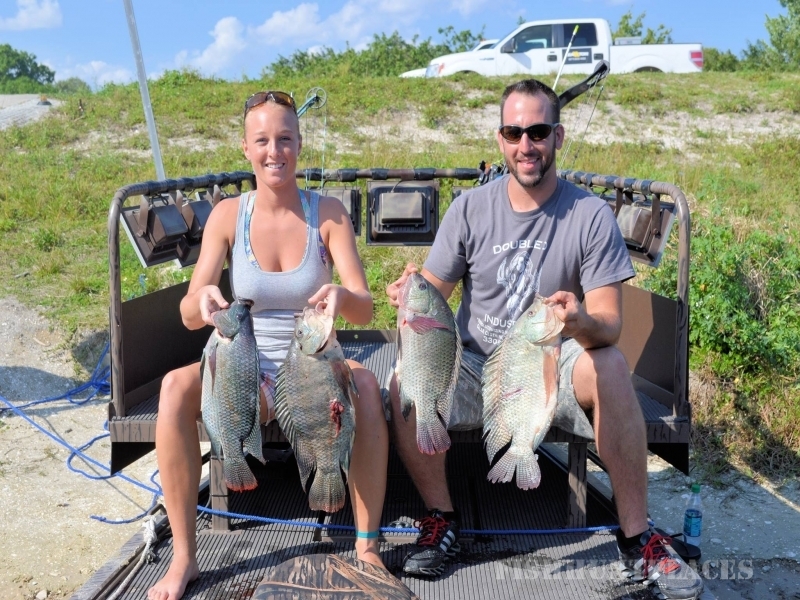 Orlando Gator hunts, provides guided gator hunts and bow fishing trips, on the Kissimmee chain of lakes. Located just 30 minutes from Walt Disney World. Dates August 15th thru September12th. September 12th thru October 31st. Location: Central Florida permitted lakes. Kissimmee Chain of Lakes, Osceola county. 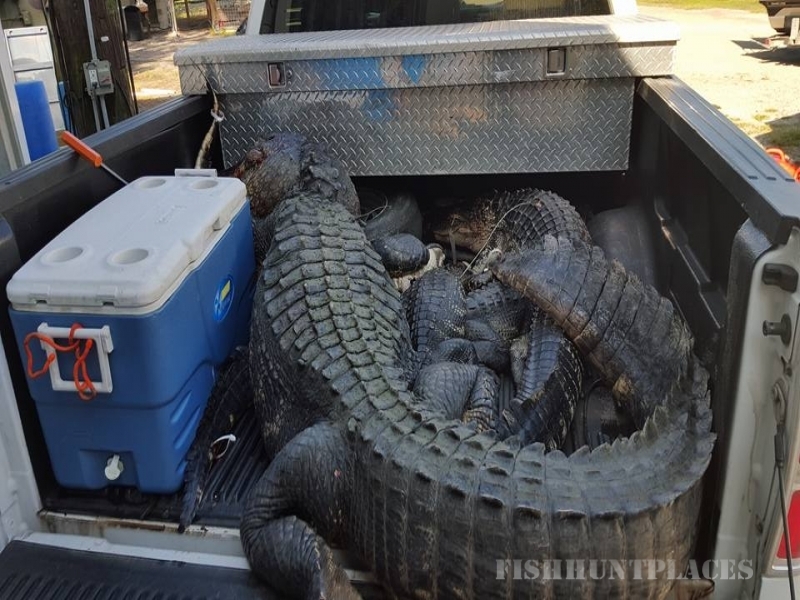 Gator hunt: Rate is $1,500.00 per gator. Allow up to 2 nights to complete the hunt, for weather conditions etc. Florida residents with their own tags: Rate $700.00. Allow up to 2 nights to fill both tags. 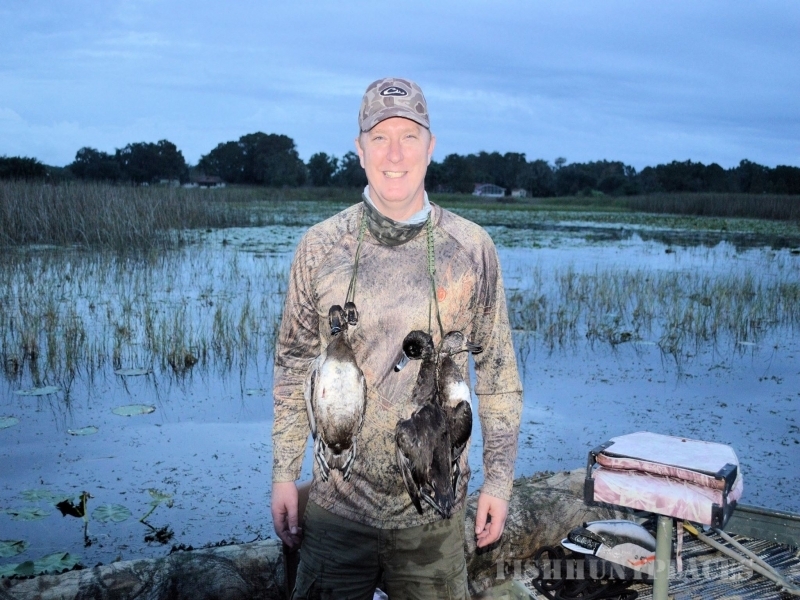 Hunt hours: 5 pm till 10 am the next morning. Usually hunt 6 hours leaving out at sunset. 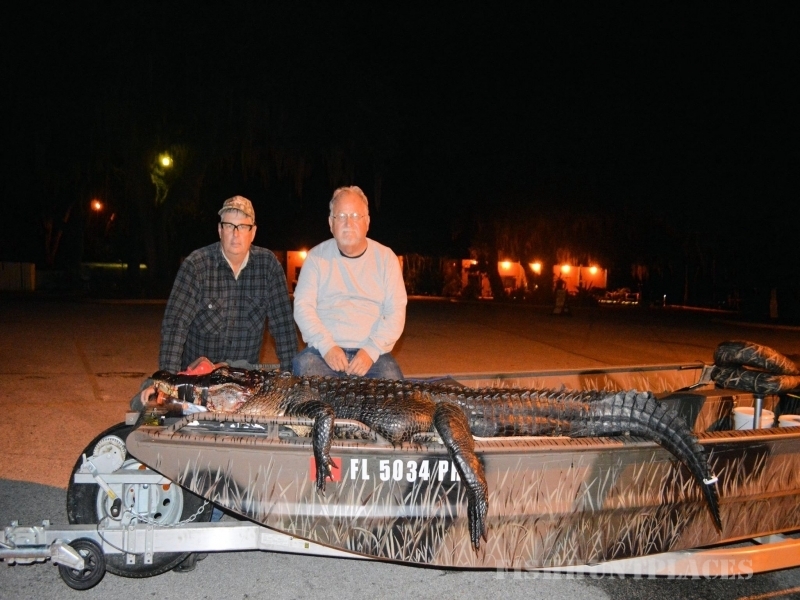 Most gators will be harvested the first night. 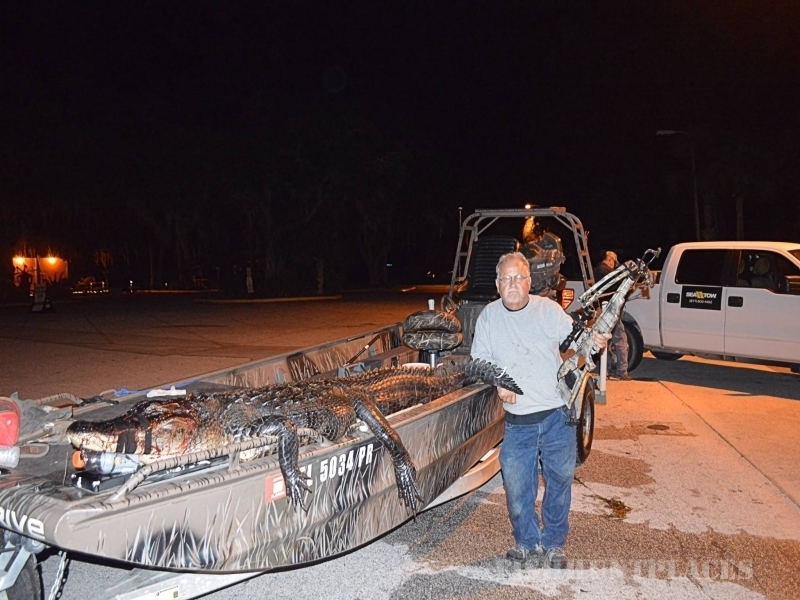 Hunter must purchase Alligator Trapping Agents' license $52.00 online www.myfwc.com or call 1-888-486-8356. This is NOT included in the price of the trip. 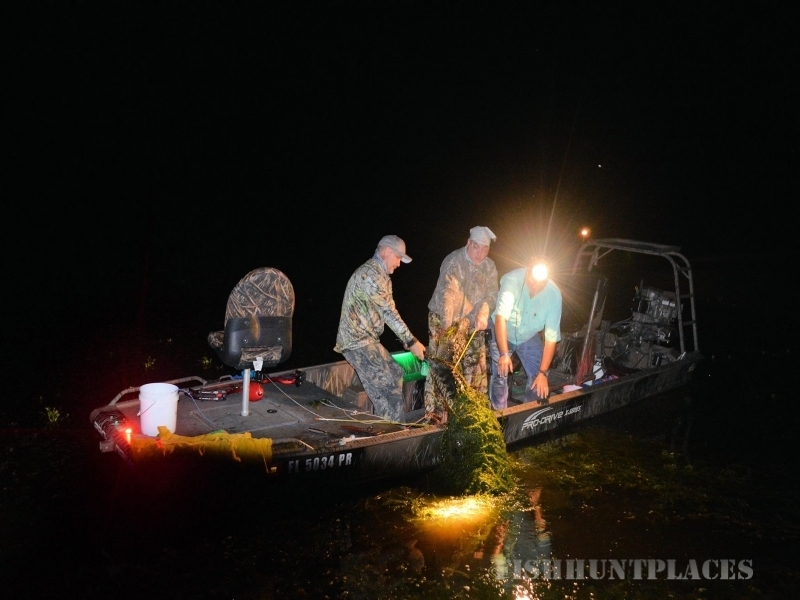 Methods for harvesting gators during the hunt. Bow and Arrow, Harpoon, Spear Gun, Crossbow, Rod and Reel. We supply all equipment necessary for the hunt.What to bring: Bug spray, hat, clear safety glasses, face buff, sharp knife. Typical hunt. Meet your guide at Wojos bait and tackle . Address 4245 13th street St Cloud, FL 34769 usually 1 hour before the hunt. At this time we will discuss all safety issues, Make sure everyone has Purchased alligator trapping license. Client follows guide to the ramp. 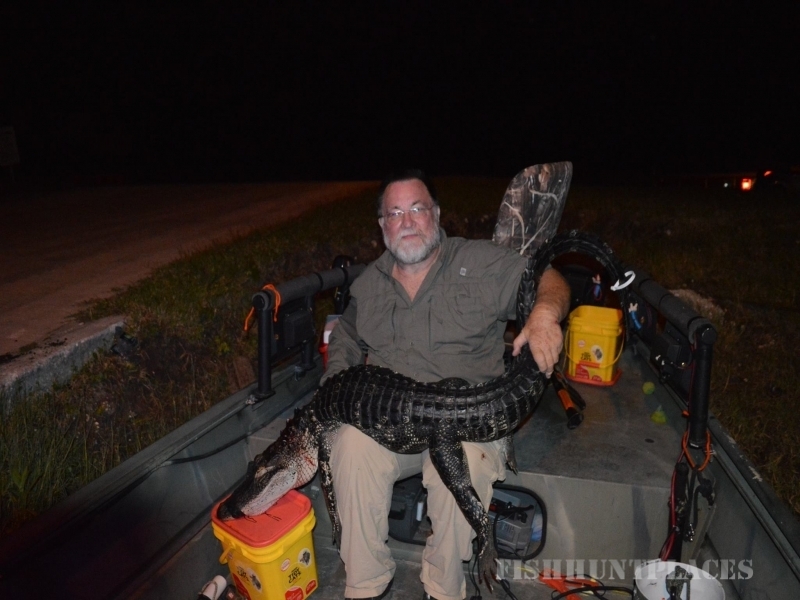 Once we are on the water, we will put on headlights to be able to see the Gators, client will pick choice of compound bow, spear gun ,or harpoon. Game on time to hunt. 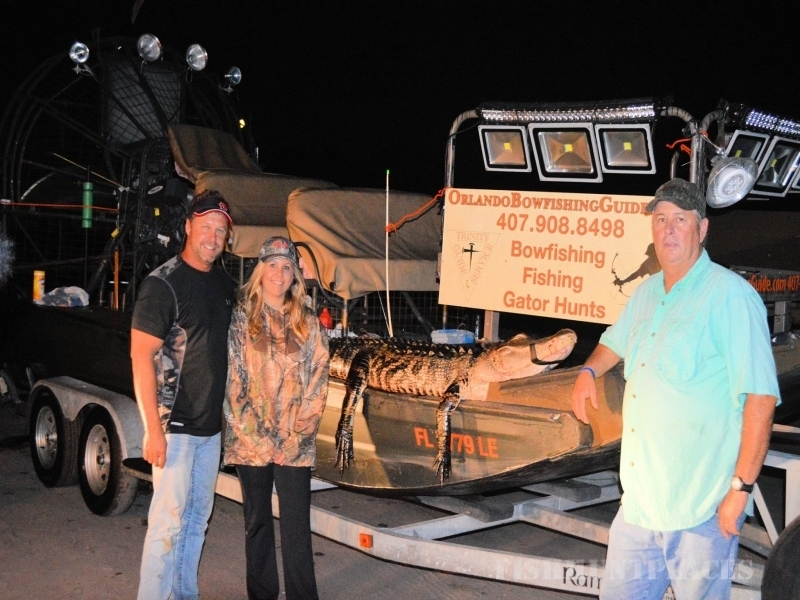 The guide will shine the alligators with his head light and dedcide if the gator is a possible shooter. At that time I will instruct hunter to be ready to take the shot. Once we attach a line we will dispatch the gator with a Bang stick. We will then tag the gator and take pictures.